Block22 will open Sunday, January 13 at 10AM. University Housing staff eagerly anticipates your arrival, and want to ensure an efficient and timely Move-In Day. Our staff will be available from 10AM until 2PM on January 13 to check students in. All Block22 residents will first need to check-in at the Block22 Housing Office, located at 401 N. Broadway (NOTE: this is the West 4th Street entrance of the Commerce Building). Here you will receive your keys and other instructions. Check out the map! Once you have received your keys, please proceed to the building in which you were assigned. Utilize the West 4th Street entrance; elevator is available. Utilize the East 4th Street entrance; elevator is available. You should have already received your apartment assignment in your GUS email account. Block22 apartments are completely furnished; living area, kitchen area, bedroom area are all furnished, including TV and washer/dryer unit. Beds are full size. Apartment furnishings will not be the same for every unit, but every unit will have a similar version. Larger and smaller unit furnishings will vary. There are four designated parking lots within walking distance of Block22 that will have marked areas for Block22 residents. Check out the map! 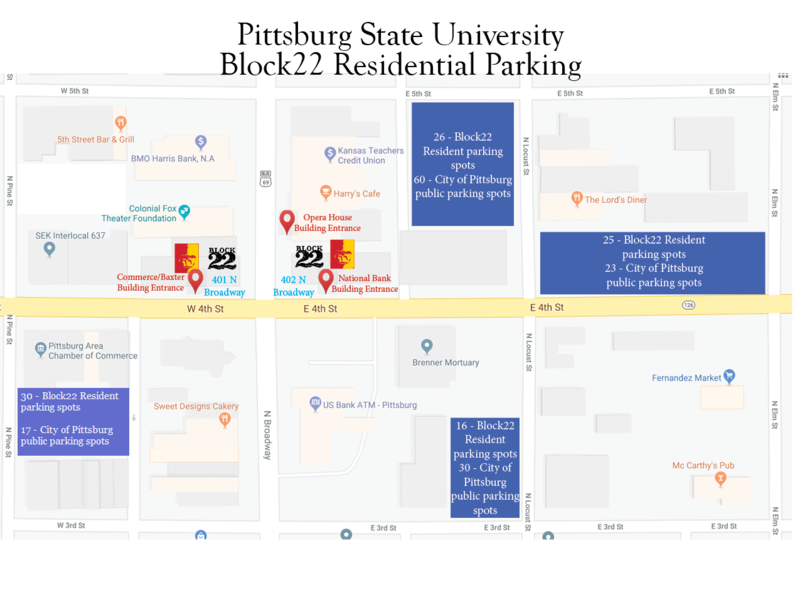 Students will be given special Brown/Block22 parking permits at University Police and Parking Services, located in Shirk Hall on the PSU campus. Students must register online for parking permits. Residents are not permitted to park on city streets; they should park in designated parking lots only. All students who live in the residence halls are responsible for checking their official campus e-mail address, their assigned hall mailbox or their cell phones for any information from University Housing. Our office also utilizes hall postings frequently to inform all residents on a regular basis of any happenings. Each apartment will have their own mailbox located in the lower level of the Commerce Building. All packages delivered through US Mail will be picked up at the PSU Post Office, located in Whitesitt Hall on the PSU campus. 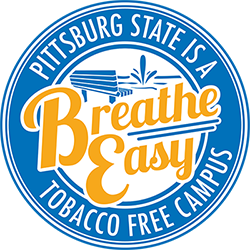 All FedEx, UPS, and other such packages will be available for pick up at the Supply Room at the PSU Physical Plant. No packages will be delivered to Block22. The Kansas Board of Regents requires state universities to establish polices that require all incoming students residing in university housing to be vaccinated for meningitis. 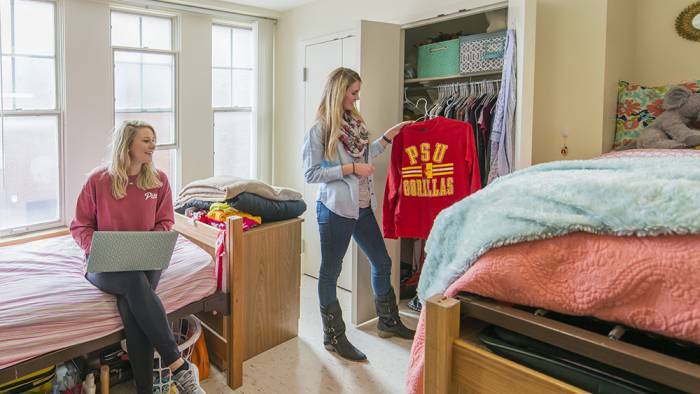 All newly enrolled PSU students living in university-owned group housing are required to be vaccinated for meningitis within the past five (5) years. If the vaccination was received greater than 5 years ago, a booster dose will be necessary. In the absence of proof of the meningitis vaccination, an enrollment hold will be applied and the student will be unable to enroll in subsequent semesters. Please note upon completion of the contract, the student agrees to abide by all University and University Housing rules, regulations, policies, including those contained in the Guide to Hall Living. These rules, regulations, and policies, along with any reasonable alterations, communicated to residents, will be considered a part of this contract with the same force and effect as though written herein. There may be special rules and regulations that apply to certain halls and buildings as well. Please pay close attention to special building policies. All building policies are subject to change. All students are responsible for checking their official GUS account for billings and charges. A. Payments are to be paid to the University for housing accommodations, dining service, and properly billed charges in accordance with the rate and payment schedule specified in this contract and/or payment plan terms. The Cashiers and Student Accounts office will maintain and publish tuition, housing and fees billing for all students enrolled at Pittsburg State. Billing will be produced each month and notification is then sent to the student’s official campus e-mail address. Students will access their e-bills through their GUS portal and will set up other users and notifications. Visit the Cashiers and Student Accounts website: http://www.pittstate.edu/office/cashier to view payment dates and options, billing cycle, installment fees, late fees and other related payment policies. B. A late fee will be charged if payment (semester, installment, and properly billed charges) is not received by the fifth of each month. If charges remain unpaid, meal service will be suspended, and procedures to evict the student from University Housing will be initiated. Past due accounts will be sent to a collection agency and/or the state set-off program for collection. Collection costs will be assessed and added to balance due on these accounts. C. Statements are accessible through the student portal (GUS) with your ID and password. Details about the payment options and credit card policies are available online at www.pittstate.edu/office/cashier. Timely payment in accordance with established schedules is not dependent upon receipt of statement.